I have just finished this build. 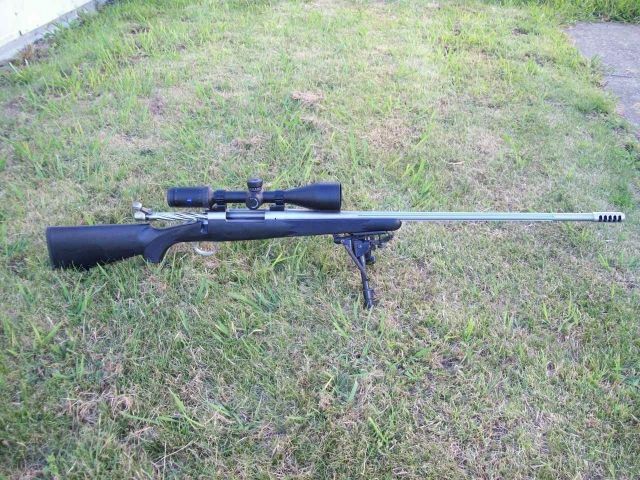 Rem 700, fluted bolt & barrel, lightweight firing pin & shroud, T2 Terminator brake, Talley rings, McMillan Hunters Edge stock, Zeiss HD 5 5-25x50 scope. It fires magazine fed 230 Bergers (0.743 BC) at 3175fps with a leisurely load. veitnamcam, 199p, sniper80 and 3 others like this. 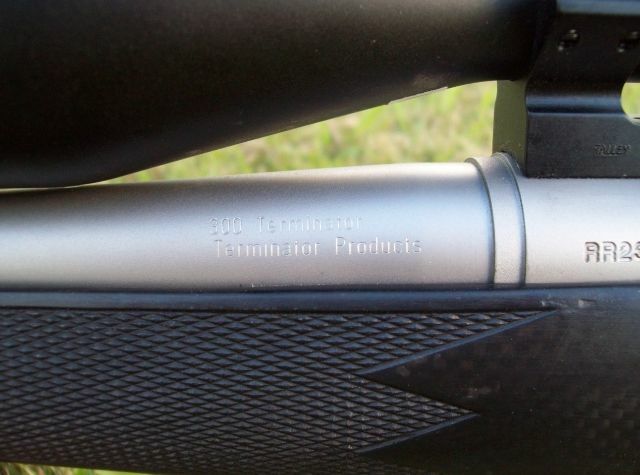 Light weight long range rifle everyone is looking for? Got any pics of the bullet? So it has approximately the same performance as a 300RUM? What is the expected barrel life? What would this chambering offer me over a standard 300RUM? Last edited by Matt2308; 14-01-2014 at 01:44 PM. More speed with much improved brass life. Barrel life for hunting, who knows for sure ? Big huas! What speed do you get from that 284? Have you built a rifle chambered in the .284 version Greg? If so how did it perform? Not talking speed wise obviously I read those posts. 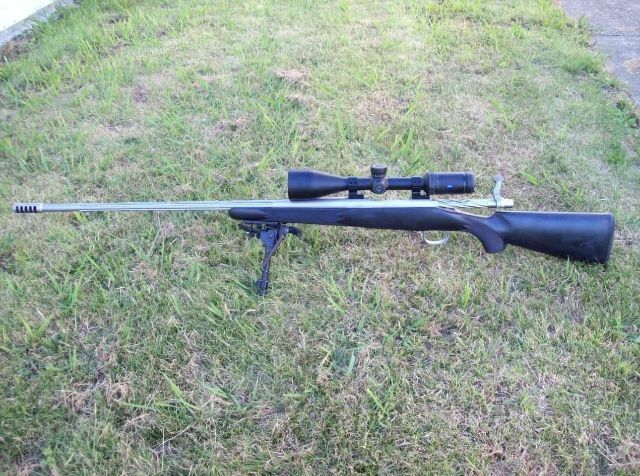 Accuracy, barrel wear, recoil, overall practicality? 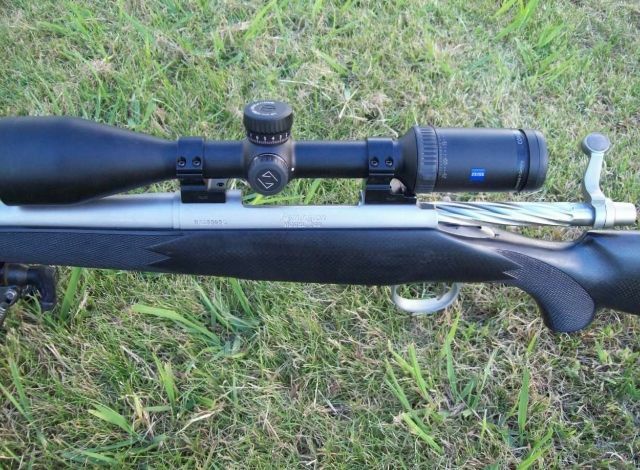 What was the rifle setup you chambered in the 284 version? Barrel wear ...who knows just like any other 7mm burning truck loads of powder. 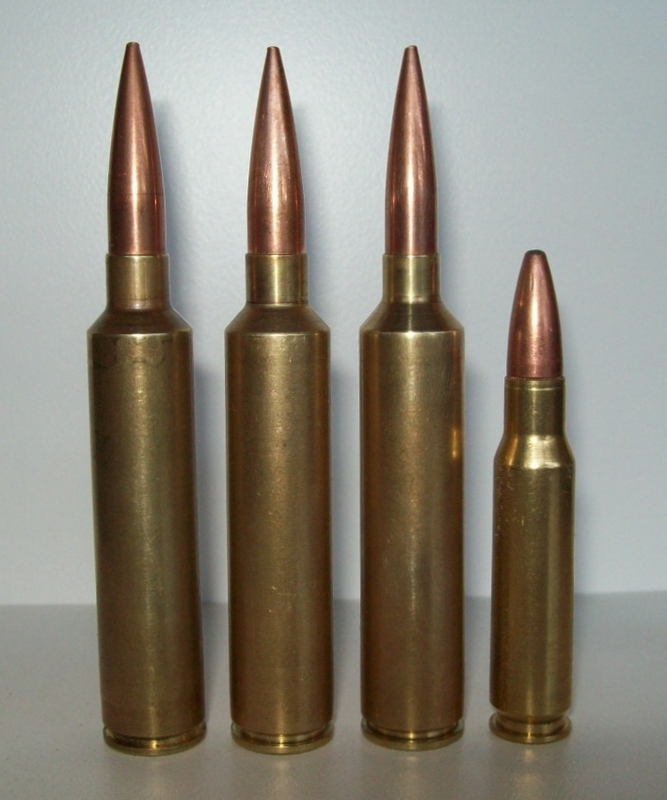 The most practical bits are light weight, no recoil, great brass. Rifle platform the same as the 300.
stuart and Average Joe like this. What case did you improve to get the terminator?